Finally an answer to the age-old question of whose water bottle is whose. With the Cool Gear Design-a-Bottle there can only be one answer: yours! 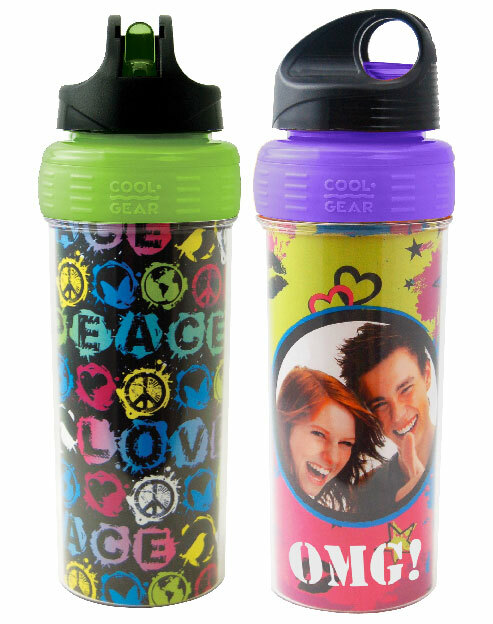 As the name would imply, the bottle can be customized with photos, text and graphics by using the Design-a-Bottle feature on Cool Gear’s website. The bottle itself is double-walled and holds 20-ounces. I’m not going to register to find out, but I will assume they at least have some templates that are appropriate for people over the age of twelve. LOL.